The Ilayathalapathy Vijay - Keerthy Suresh-starrer Bairavaa is touted as one of the most-awaited Tamil films of 2017. The film also marks the collaboration of Tamil superstar and director Bharathan after Azhagiya Tamil Magan. And now, according to the our source, the Hyderabad schedule of Bairavaa has wrapped up on Tuesday in Ramoji Rao Film City. With this, it has been confirmed that the talkie portions of the film have now been completed. 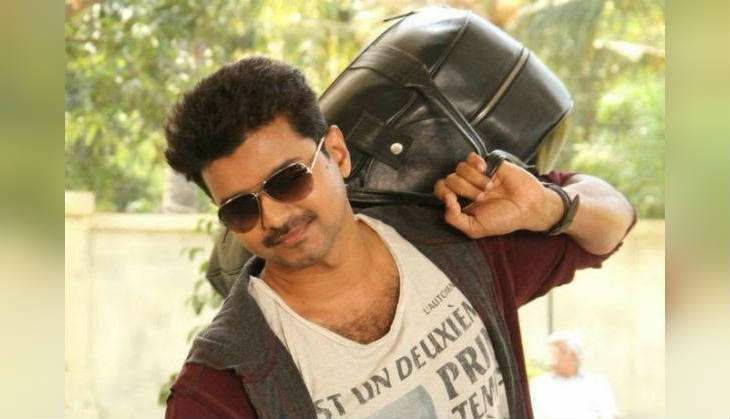 The team will have a foreign schedule soon for two romantic songs, featuring Vijay and Keerthy. The makers are planning to wrap up Bairavaa by October-end so that they have a three-month window for the post-production. Bairavaa's music has been composed by Kabali composer, Santhosh Narayanan. Produced by Vijaya Productions, it is slated to hit the screens on Pongal 2017.